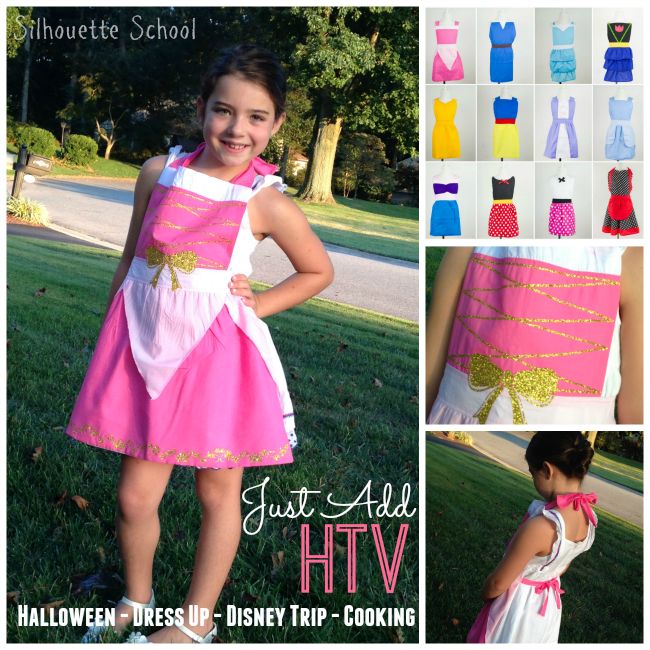 Before I share today's Silhouette tutorial on an adorable Just Add HTV princess costume...you need some background! So last year on Halloween my husband, bless his heart, said he was going to the costume store and to get each of us a Halloween costume. A few hours and more than $100 later...this happened. 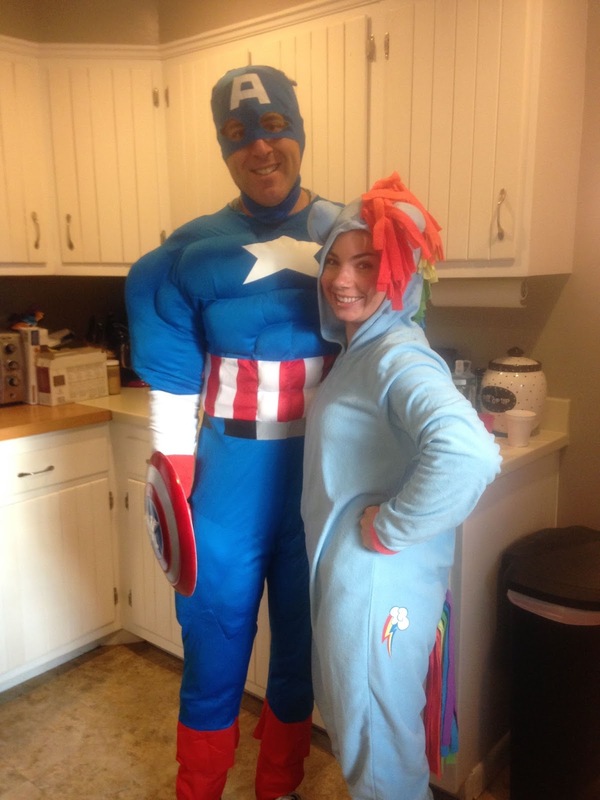 I'm not sure if Rainbow Dash is going to make another appearance this year because I think I just found a better - much more affordable - and slightly more flattering costume. Okay, okay, okay so maybe just maybe it's a size 7...as in for my 7 year old daughter. But you guys, I mean it fits. Kinda. And it's cute. Totally! And it's definitely more in my price range at $7.99. Plus I got to add glitter HTV to this little princess apron and that's always a good thing. 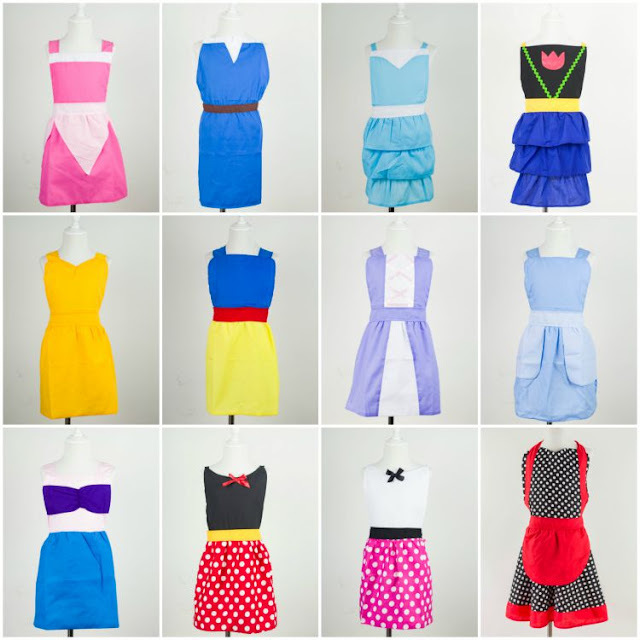 Now if you're not a Sleeping Beauty kinda girl, My Vinyl Direct has 12 different princess aprons - in the Just Add Vinyl section of their website - to pick from so just go on and pick your favorite then come on back here 'cause I'm going to show you how I blinged this thing out in no time! I decided on a glitter gold 'corset' and hem detail to my Aurora apron. The corset I designed by simply measuring the distance across the front piece. I drew out a box that same size in Silhouette Studio and then used the Draw A Polygon tool to draw the criss-crossed lines. I put an offset around the lines (deleted the originals) and then added the bow. Don't worry about that too much though because today I'm going to give you the free Silhouette Studio cut file so you can use it on your princess apron. Just pull the corner to size it to fit on the bib part of whichever apron you decide on. Free for personal use only, please! For the rose hem around the bottom I did a google search for "rose border" and then traced it like any other jpeg. If you're unsure how to trace to cut a jpeg in Silhouette Studio, read the 101 tutorial here. Since the hem was 22 inches long I cut it in two pieces. Then it was a matter of cutting, weeding, and pressing the htv onto the apron. I think that took me all of 15 minutes. 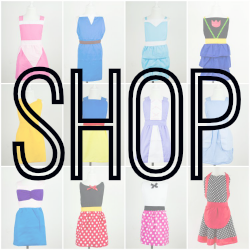 So very cute and easy! Thank you!